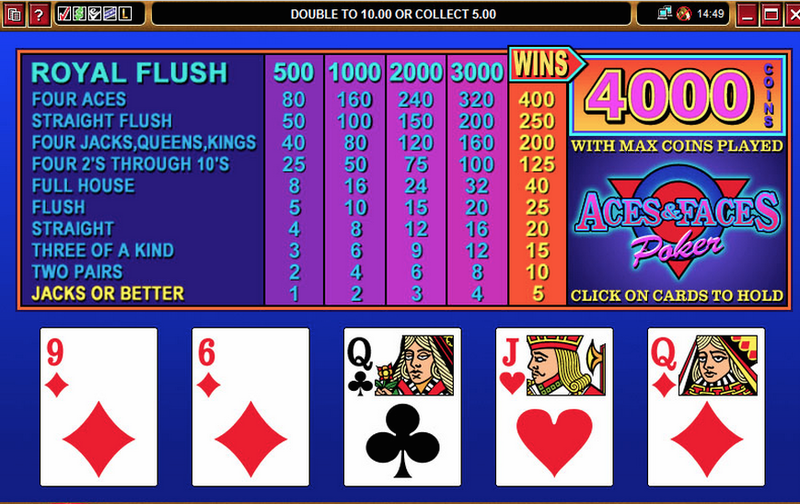 Put simply, Aces and Faces, is ace, especially if you're looking for an entry-level video poker game. The game is structured in a similar manner to Jacks or Better, or Tens or Better, but the main difference here is that you can make hands that are not accepted in traditional poker games. The game is surprisingly straightforward, although many straightforward games are as boring as Sunday roast dishwater. 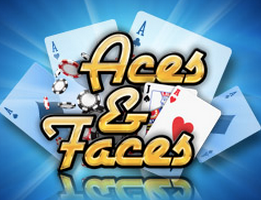 However, Aces and Faces is lively and entertaining, thanks to a solid interface, bright and cheerful graphics and the increased winning opportunities, thanks to those extra hand combinations. 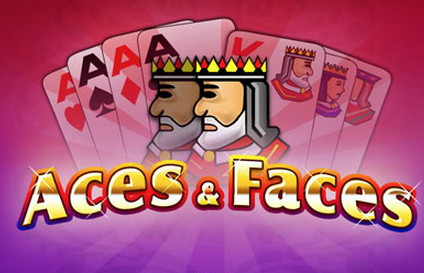 Playing Aces and Faces is simple, even if you've never played video poker before. The goal is to make the best hand possible, you can attempt to do this by playing in fun mode first. Once you've got it sussed, start the game. Click DEAL, you will be dealt five cards. You can decline any of these five cards, should you desire. If you are a regular poker player, you may need to study the cards closely, because this is not a traditional poker game. There are other hands that you can make, which include hands comprised of face and ace cards. Once you are satisfied with your hand, you can submit it, and if you win, you have the option of doubling your winnings, or doubling half of your winnings. In the bonus round, you are shown five face down cards and one is turned over. You must then choose one that is higher than the face up card, to double your cash. There are multiple variations of video poker at good casino sites, but this one is possibly the most pleasurable and easy to pick up.